If your child is falling behind in school, you know what heartache is --watching the struggle, feeling the frustration, yearning to help --but what can you do? You can do a lot! 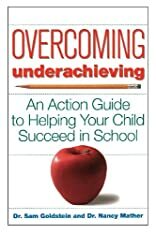 In Overcoming Underachieving two nationally recognized experts in children's school problems show you how to become your child's advocate, coach, and guide through the educational process. Using numerous case examples, they help you pinpoint your child's unique learning patterns and the problems that interfere with learning, behavior, and achievement. Emotional support is important, but you can give your son or daughter even more. Find out how in Overcoming Underachieving. About Nancy Mather (Author) : Nancy Mather is a published author. 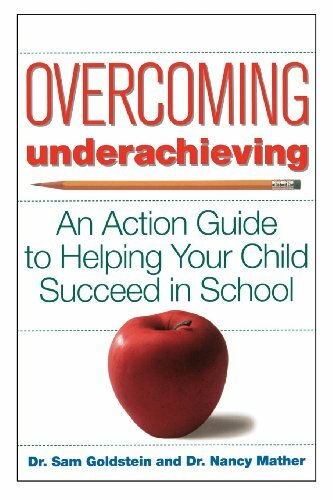 Published credits of Nancy Mather include Overcoming Underachieving : An Action Guide to Helping Your Child Succeed in School.